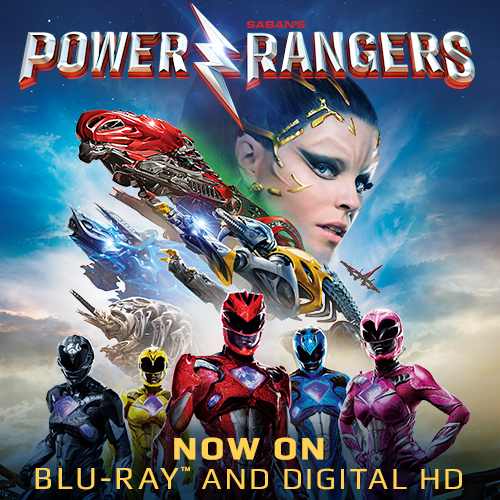 SABAN'S POWER RANGERS is out now and we have copies at the shop. Come by and see how you can win a copy to take home or check us out on Facebook for upcoming chances! SABAN'S POWER RANGERS on Blu-ray and Digital HD! From Director Dean Israelite, get ready to Go Go Power Rangers with the cool new action blockbuster fans have been waiting for. Featuring exclusive new bonus features. It's Morphin Time! SABAN'S POWER RANGERS. Rated PG-13. Now available on Blu-ray, DVD & Digital HD.